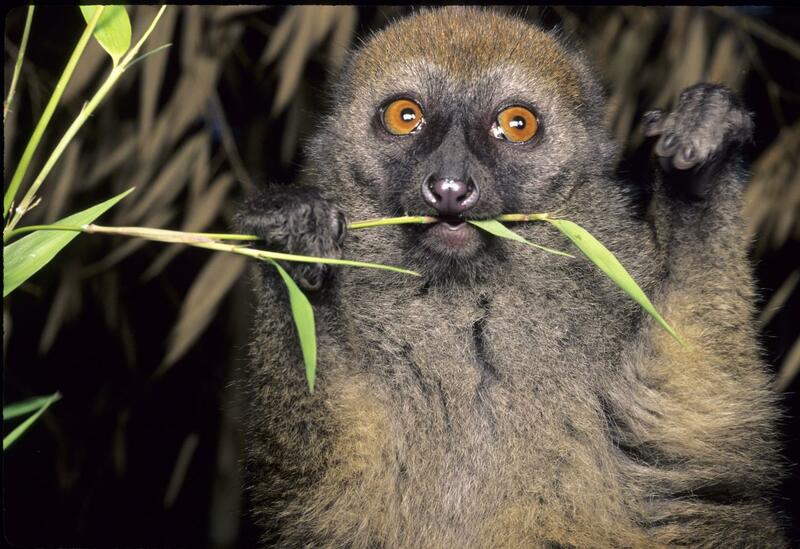 DURHAM, N.C. — The vast majority of lemur species are on the edge of extinction, experts warn. But not every lemur species faces a grim future. There may be as many as 1.3 million white-fronted brown lemurs still in the wild, for example, and mouse lemurs may number more than 2 million, a Duke-led study has shown. In a study published August 30 in the Journal of Biogeography, researchers show that lemurs are less abundant in areas that lack certain tree species — even when environmental conditions such as temperature, precipitation and elevation are otherwise suitable. This technique — incorporating tree distributions in addition to climate — proved more accurate than methods that estimate lemur numbers and ranges using climate alone. This research was supported by the National Science Foundation Graduate Research Fellowship Program and SBE35 IBSS Postdoctoral Research Fellowship Program, a Turner Fellowship, an AGEP-T-FRAME Scholarship, Primate Conservation, Inc., the American Society of Primatologists, the International Primatological Society, the Primate Action Fund, La Conservatoire pour la Protection des Primates, Seneca Park Zoo, the Explorer's Club Eddie Bauer Youth Award, the Margot Marsh Biodiversity Foundation (39 023815), the Mohamed bin Zayed Species Conservation Fund (1025935), the Rufford Small Grants Foundation, the Leakey Foundation, the Oregon Zoo, the National Geographic Society Conservation Trust (C135-08), and the David and Lucille Packard Foundation.